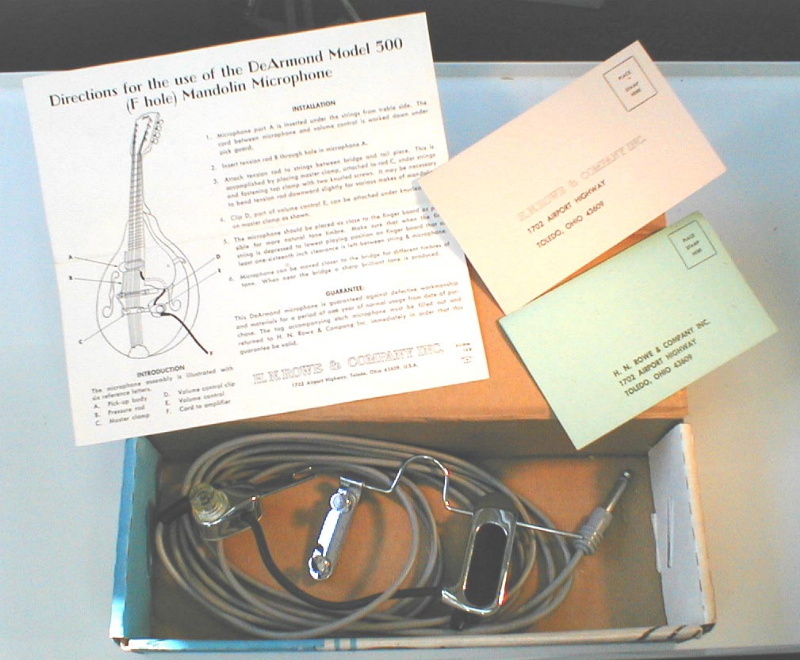 The DeArmond was, as far as I know, the first practical pickup made for the purpose of amplifying an acoustic mandolin. It consisted of a magnetic pickup designed to sit underneath the strings, held in place by a wire frame. It also sported a volume control and built-in cable. Players from Yank Rachell to Carl Martin to Dash Crofts have used DeArmonds. 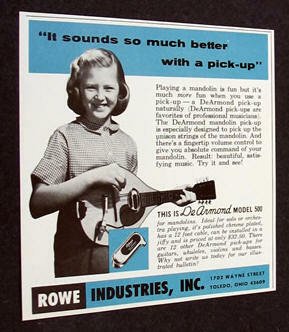 The manufacturer, Rowe Industries, also made a blade-style pickup that appears on some early electric mandolins by small-shop builders such as F. A. Thorp.